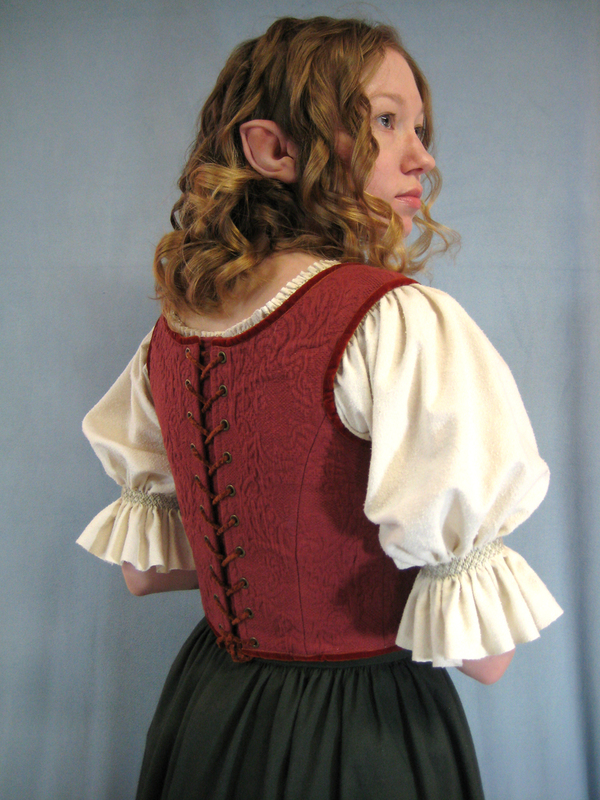 Rebel's Haven: Ver's Costume Journal: Hobbitness! 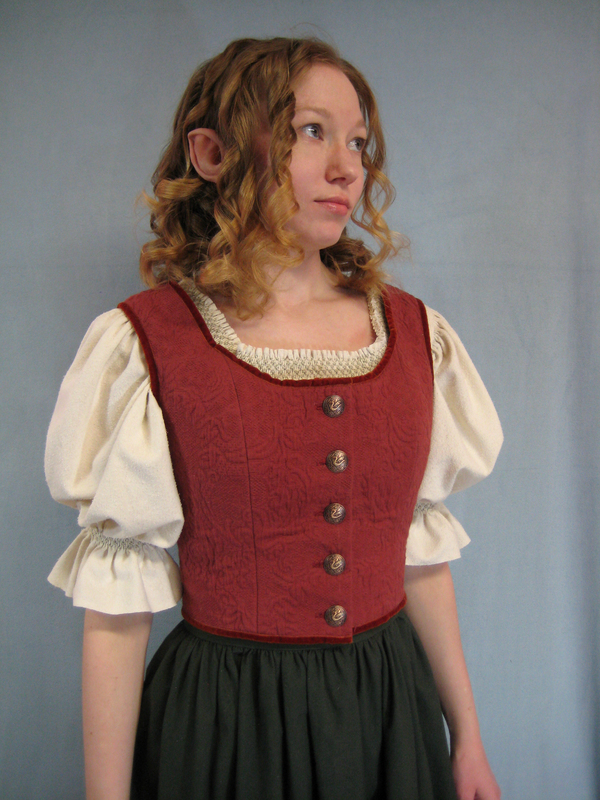 Yay, my Hobbit costume is essentially finished! I'd like to remake the skirt if I find a fabric that hangs better in my moss color (or is dyeable). I need a wig, I'll make a cloak before the December premiere, and I'm hoping to one day make believable looking feet. But, here's the whole thing. The first pic is very large so you can see the lovely dragon buttons. Lovely work! Are the front buttons functional? Thats good. I'm having to get help lacing up this year at the renaissance festival I work at because I wasn't thinking and put the laces in the back so that i could have a busk. Oops. So cute! And I don't think you need a wig at all - your hair looks perfect! Actually my biggest motivation for a wig is that it took me two hours to do this, and I'd love to just be able to plop a wig on my head and go! Oh I can well understand that. 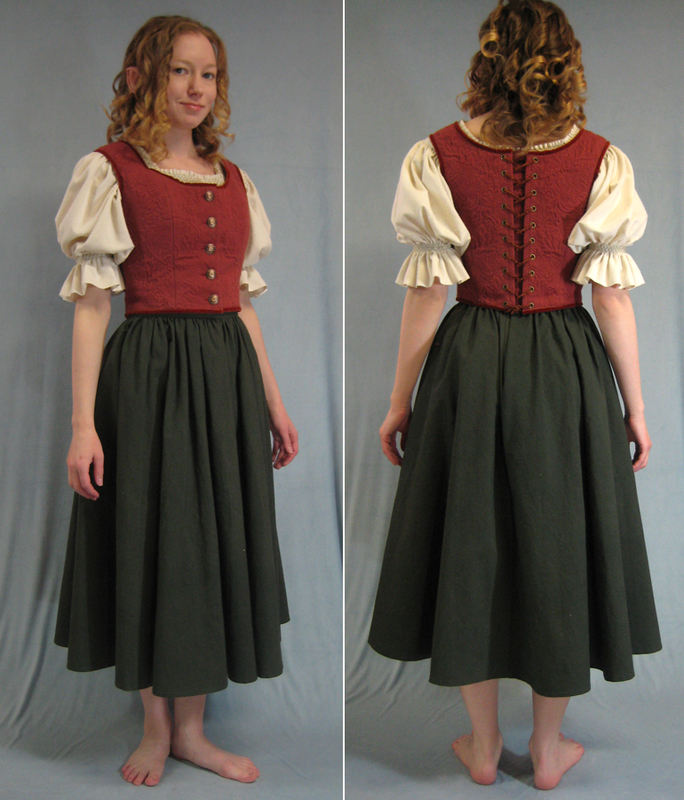 I'm doing the same for my Belle costume (even though I have the right colour/length of hair). Trying to style takes forever! My world pretty much revolves around costuming, my main interests being in Science Fiction/Fantasy and Historical.